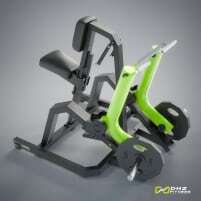 DHZ Fitness ROW (Plate Loaded Rowing Machine) - New and with manufacturer's warranty! A seated row simulates the movements in a rowing boat. It can be used for endurance and strength training equally. 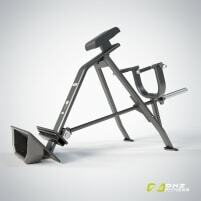 Today seated rows and other rowing machines can be found in many gyms. They are popular among athletes who want to do endurance and strength training but especially among rowers who want to train even in winter. Training on a seated row strains arms, legs and upper body, especially back muscles. But these machines are also suitable to lose weight. 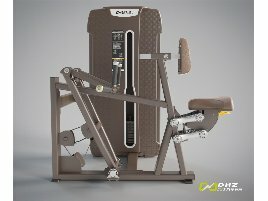 There are two types of seated rows: on some machines the hand grips have to be pulled at the same time and on some other machines the rowing can be done for each hand separately. It needs some training before a sportsmen is able to do longer units on a seated row. 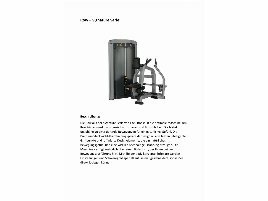 The arms are strained most when using a rower and untrained persons will notice a fast decrease of power within only some units. 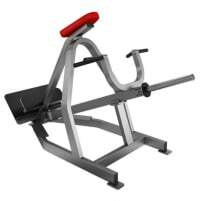 An advantage is the variety of muscles which are strained when using this training equipment. The athlete sits on the padding and holds the grips. Shoulders and upper body are fixed and moved backwards while stretching the legs. Directly after full stretching hands and arms are stretched to the knees. To avoid injuries and strains it is very important to do warming up before starting the training. 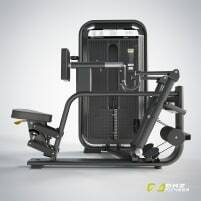 Although there are seated rows in many gyms, rowers are very popular as home training machines. Rowers can do their training also in winter on their seated row at home, but also among other athletes the seated row is a very popular for endurance and strength training especially for arm and leg muscles. 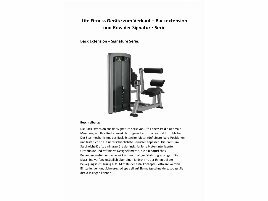 The demand for fitness equipment for home training increases steadily. 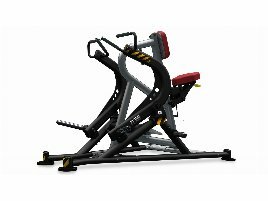 If you want to sell a new or used seated row, insert an ad with a detailed description and some pictures of the training machine on fitnessmarkt.com. The more information and pictures are stated in the ad, the more visitors it will have and therefore increase its sales chances. If you need some tips for exercising with a seated row, see our tips for training on a seated row!